Harris Wharf London is a contemporary brand that reimagines classic wardrobe staples, the brand is based in London, but produced in Turin, the reason you will love this brand with it’s range of elegant subdued hues as well as bold brights. The brand's core outerwear line features raw edged and unlined jersey tailoring, offering a contemporary, effortless take on traditional cuts and shapes. Family-run label Harris Wharf London has built an impressive reputation for redefining classic wardrobe staples through the use of quality fabrics and immaculate cuts – just take this coat. 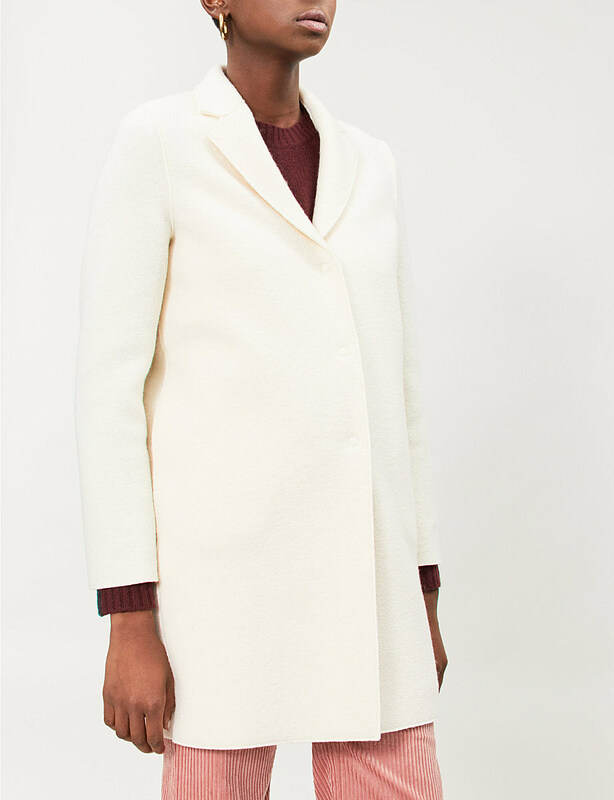 Woven from a quality alpaca-blend to a collarless silhouette, this longline coat is defined with a touchy-feely texture and refrains from using any fussy details for a truly classic finish. Family-run label Harris Wharf London is a contemporary clothing brand that redefines classic wardrobe staples through quality fabrics and immaculate cuts. 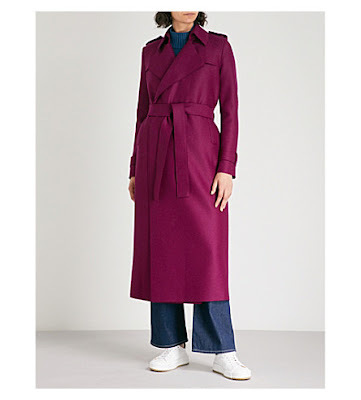 Made in Italy from pure wool, this longline trench coat comes with all the expected details but reimagined in a vibrant colourway for a modern edge. 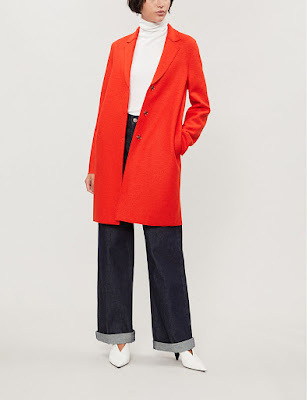 Layer yours over everything from smart separates to pared-back denim. Family-run label Harris Wharf London is a contemporary clothing brand that redefines classic wardrobe staples through quality fabrics and immaculate cuts. Made in Italy from pure wool, this longline coat comes with all the classic military details but reimagined in a marl finish for a textural feel. Layer yours over everything from smart separates to pared-back denim. Family-run outerwear brand Harris Wharf London reimagines classic designs with a modern sensibility. Based in London but produced in Turin, this double-breasted coat is your shortcut to chic. Expertly crafted from pressed Italian wool for a soft to touch texture that’s unrivalled, design is styled with wide notched lapels and a relaxed fit. Unlined with raw edges throughout, this cover-up is a youthful take on traditional tailoring. 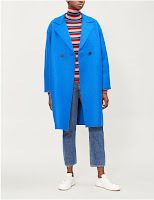 Family-run label Harris Wharf London has built an impressive reputation for redefining classic wardrobe staples through the use of quality fabrics and immaculate cuts – just take this coat. 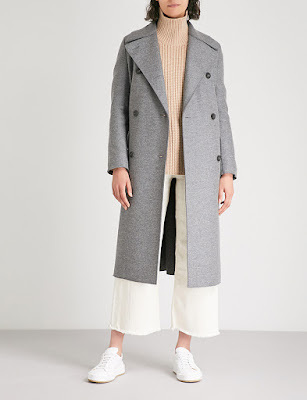 Woven from pure wool to a cocoon silhouette, this longline coat is defined with a touchy-feely texture and refrains from using any fussy details for a truly classic finish.